Qais is founder and CEO of Kuwait Life Sciences Company a unique healthcare company which focuses on healthcare innovative concepts and demanded services that have a clear unmet need. 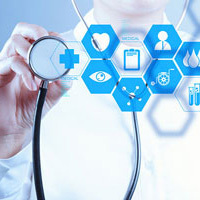 KLSC is designed as an integrated healthcare company building unique projects and is considered one of the few venture capitalists in the Middle East that invests globally and operates regionally seeking to advance healthcare services and systems in the region. Qais moved to KLSC after being responsible for the Life Sciences Investment Projects at the parent company 'National Technology Enterprises (NTEC)' since 2006. NTEC was created to play a vital role in servicing major stakeholders in Kuwait with their technology needs. Prior to NTEC, Qais managed a portfolio of private equity funds & direct investments in addition to fund raising and servicing clients at the Industrial & Financial Investments Co. (IFIC) for 8 years. He was also a member of the Investment Committee and involved in structuring investment portfolios and funds including a series of U.S. based Venture Leasing Funds. Qais holds a bachelor degree in Electrical Engineering from Kuwait University and as well as serving on the Board of NewBridge, he also currently serves as the Chairman of the Board of Clinart MENA.